his is Rocco, perhaps the world's most unusual hamster. Born the 29th of December in 2011, he started out like any other hamster. But at four weeks of age, he attained the maturity of an eight-week old, with an extra ounce for good measure. 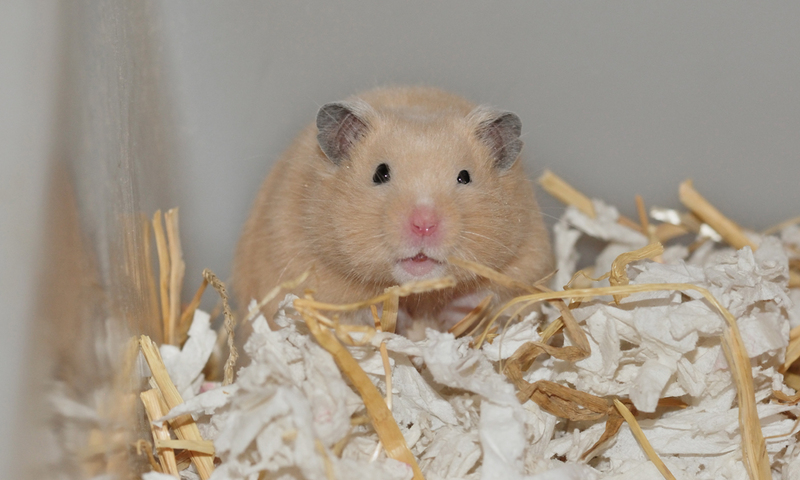 At that age, young hamsters are usually separated into cages of all-male and all-female siblings. In Rocco's case, he got his own cage. His size made him able to bully his brothers - and that's exactly what he did. Rocco, son of Cropsie and Spencer, wasn't just big. He was fierce. When food was taken to or from his cage, he let out loud screeches the likes of which have never been heard in the hamster world. And the screeching let up only when he was good and ready to be quiet. Pick him up, and the squawking got almost loud enough to be heard outdoors. In fact, merely hovering over his cage and talking to him will get you a very audible response. The talkative gene runs in the family, being something common to both his great-grandfather Bonno and his grandfather, Fuzzy-Sozo. But none have been as vocal as Rocco. His ability to interact with the human species - at least in his opinion - makes him the logical choice for President. But his pushy personality has also earned him the nickname "Rambo" and a middle name of "Ogur" - prounounced a bit different from "ogre" but inspired by that word. Ogur is also the Hebrew word for hamster. Despite his early physical maturity, however, Rocco Rambo "The Ogur" (aka "Rock-Star") still has quite a bit of growing up to do.